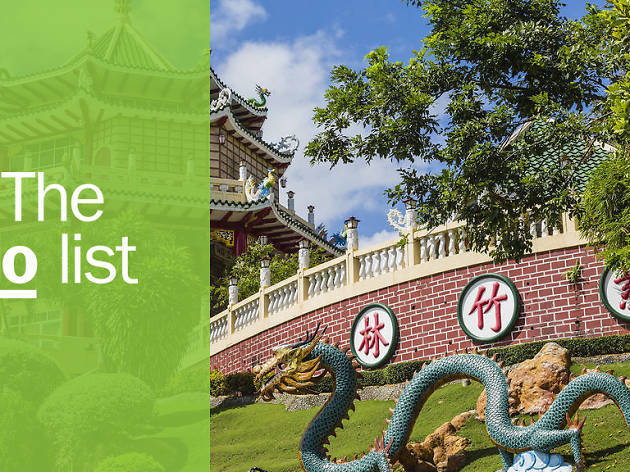 A mere a two-hour flight from Hong Kong, the former capital of the Philippines is well worth exploring, especially after cosulting this list of best things to do in Cebu. Fin a plethora of fun activities to partake in once you arrive. The difficult part? To choose between them. 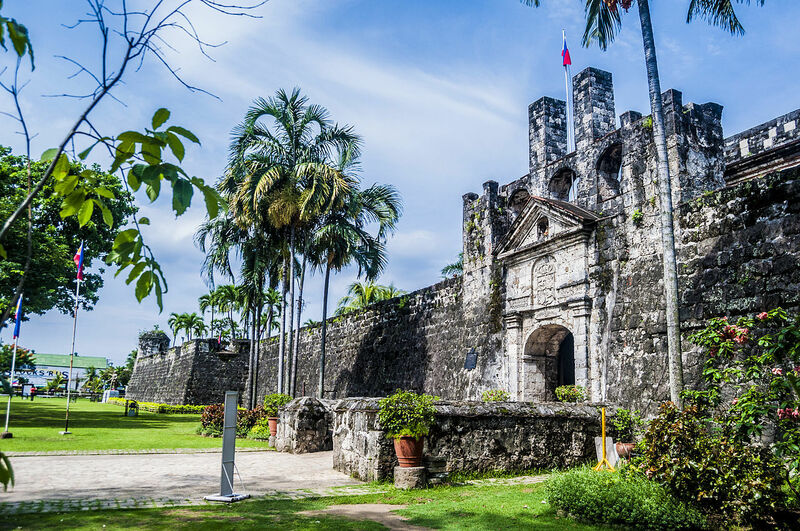 In Cebu City there are a bevy of bars and restaurants to suit all budgets, while in Lapu-Lapu you’ll find a wealth of history to uncover—but don't forget about the glorious beaches surrounding the island. What is it? 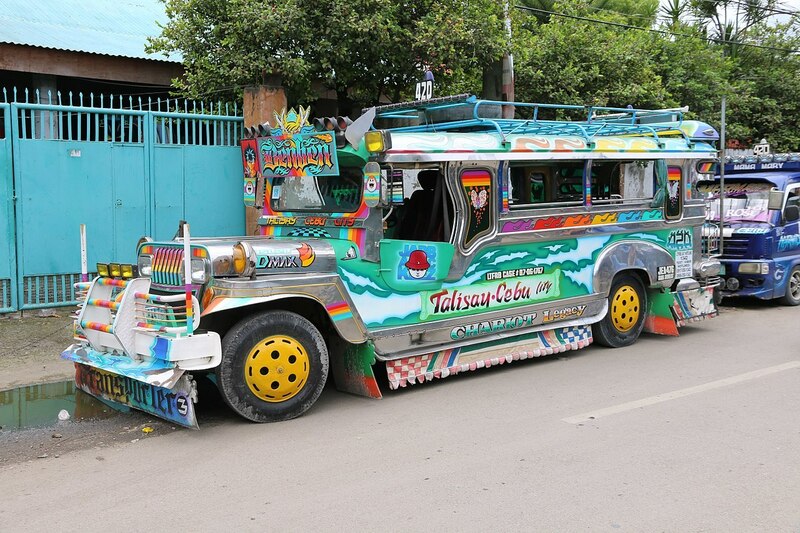 The Philippines’ most famous method of transport. Why go? These retro-looking buses are quite a sight to behold. 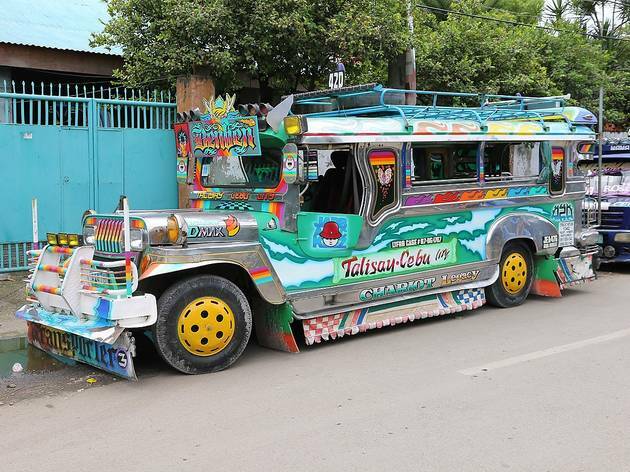 Many of them are former American jeeps from the Second World War and are bedecked in various bright colours. They’re usually crammed with passengers throughout the day, so squeeze in with the locals and get an eyeful of the area. What is it? 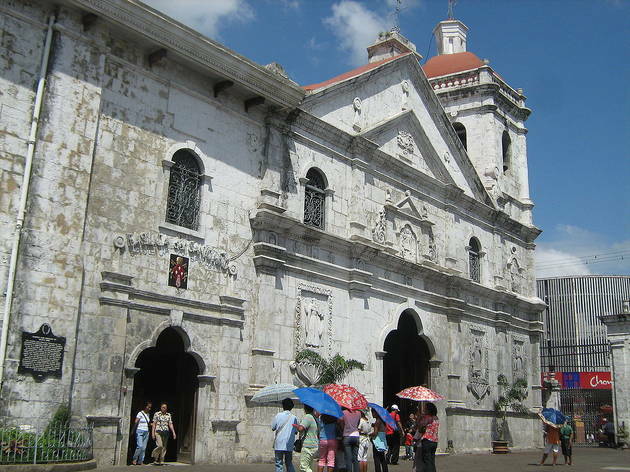 Founded in 1565, Basilica Minore del Santo Niño was the first Roman Catholic church in the country. Why go? It boasts some of the best Christian architecture in the Philippines. It was burned down a year after completion, but rebuilt in the years following, before being destroyed again by fire in 1628. The structure there today was completed in 1739 and is often rammed with locals and tourists alike. The name, in case you were wondering, means Minor Basilica of the Holy Child. What is it? 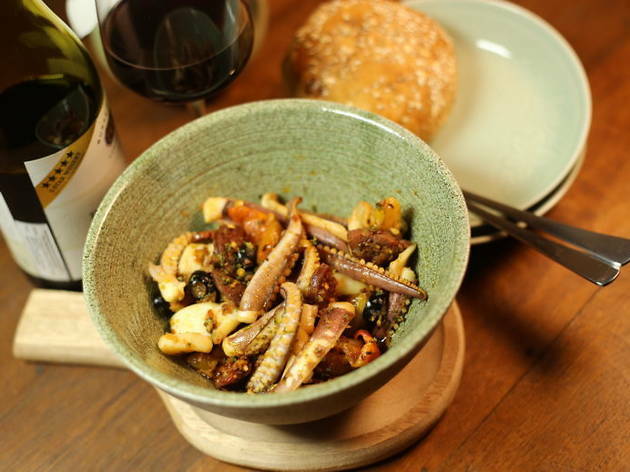 High-end dining with food as spectacularly well presented as the surrounds. Why go? If you didn’t have a single bite, but simply went to gaze at the incredibly well-kept Spanish Colonial architecture, you’d leave Circa 1900 happy. 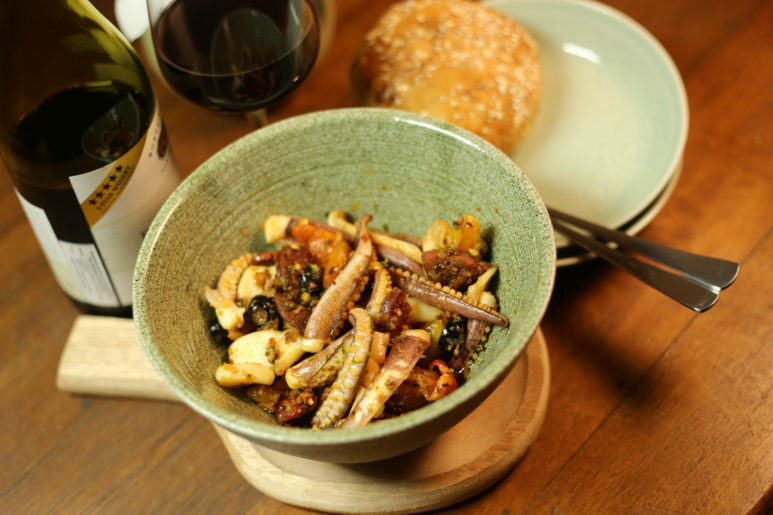 But you’d be foolish not to tuck into the impressive variety of international cuisine that’s inspired by Filipino heritage, from seafood chowder infused with kaffir lime and ginger to something very British: the humble pie – filled with slow-braised lengua (tongue) and chorizo, naturally. What is it? A museum of Spanish documents, artefacts, paintings and sculptures. Why go? San Pedro was initially built from wood by the Spanish, but was inevitably upgraded to stone in the early seventeenth century. 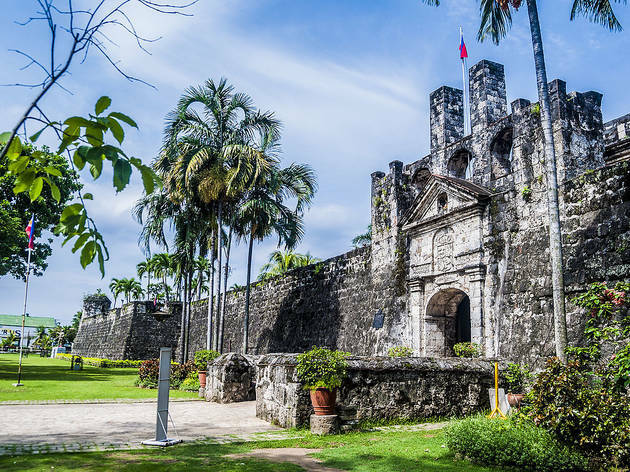 The fort you can now tour dates back to 1738, although some of its most important facets come from the 1890s, when Filipino revolutionaries took control of it. What is it? A haven for divers on the southwest side of the island. Why go? Not only is Moalboal beautiful, but it’s home to Basdaku (‘big sand’), a white sandy beach that runs for two kilometers. Here you’ll find numerous divers and snorkelers as the coral reefs are stunning and brimming with marine life. Catch a glimpse of a bale of sea turtles, clownfish, starfish and thousands of sardines. 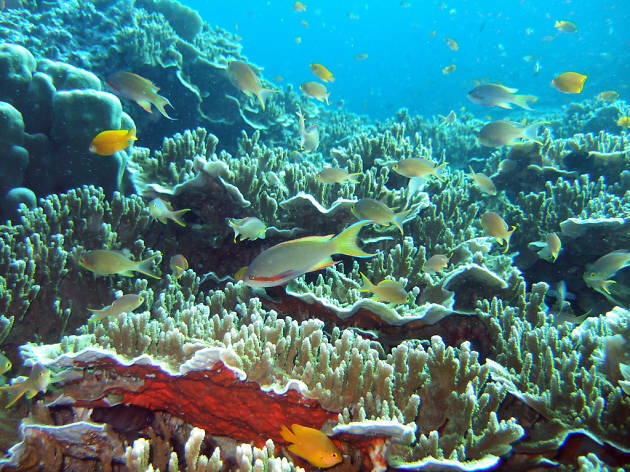 Most of the resorts and hostels offer snorkeling packages, so you won’t struggle to find a clear route to the reefs. What is it? 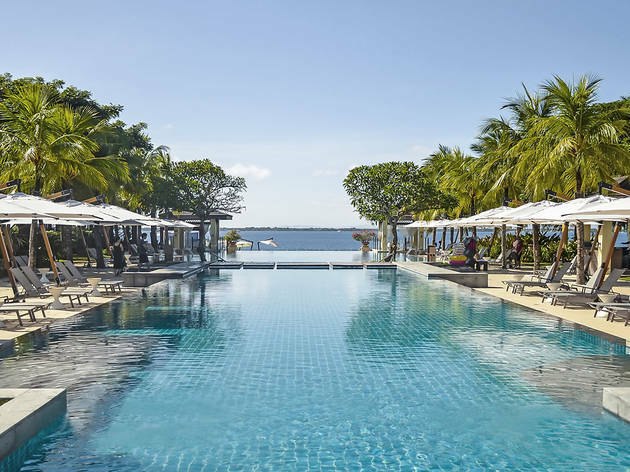 The lap of luxury in a five-star seaside resort. Why go? 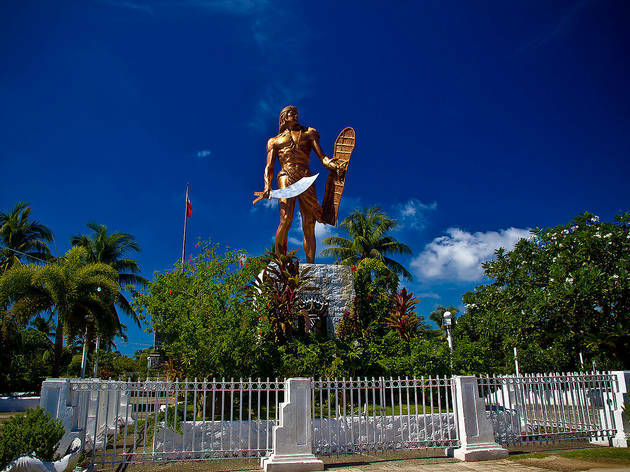 This shining beacon of culinary delights, relaxation and fun in Lapu-Lapu City is just begging to be explored. 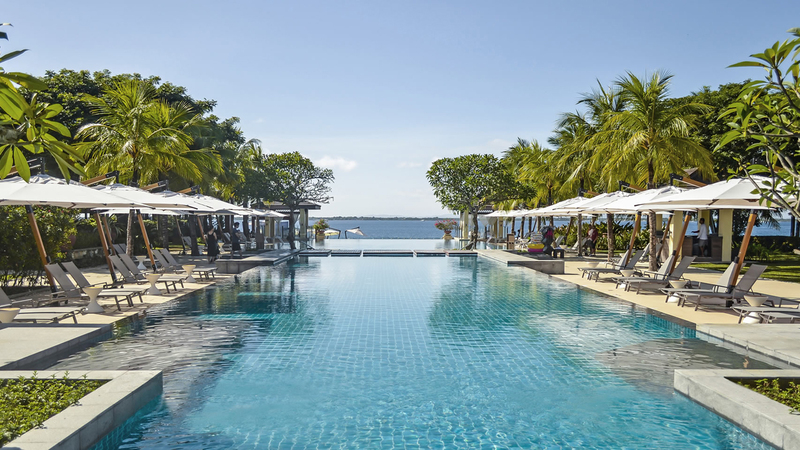 From private beachside villas with plunge pools to deluxe rooms, this is a tropical paradise. Dine at Azure Beach Club, a blue neon hub that looks out over the sea. 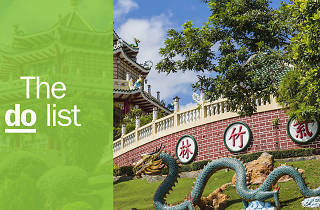 There are quality barbecued meats and seafood alongside a huge menu of international dishes and some incredible cocktails. Also try Saffron, an all-day café with a killer buffet. Head here after a session in the tranquil Aum Spa. What is it? 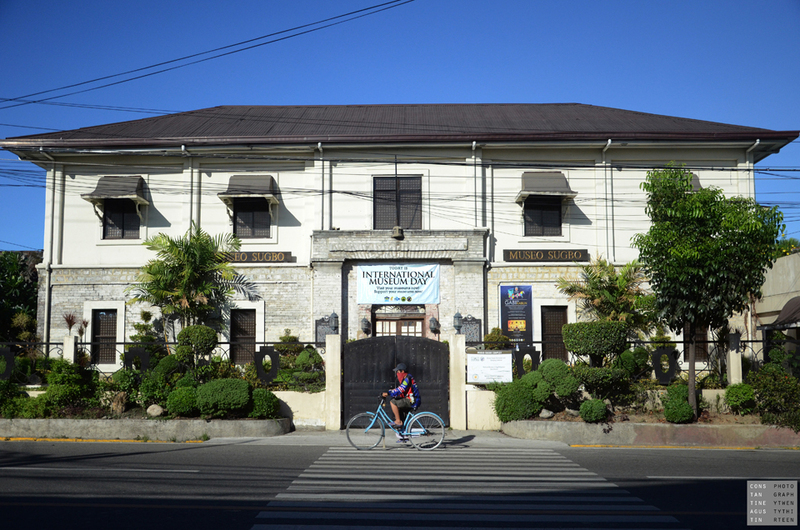 Cebu’s Provincial Museum, which is housed in the city’s old jail. Why go? 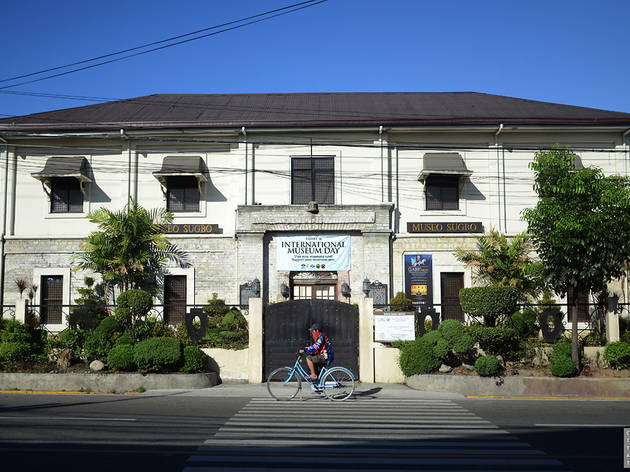 Designed in 1869 by Cebu’s only architect at that time, Domingo de Escondrillas, Sugbo has been home to prisoners and revolutionaries, as well as Filipino guerrillas during the Japanese occupation of World War II. Aside from seeing the former detention centre, the museum is also a haven for great exhibits, particularly from the Spanish and American eras. Letters, memorabilia and art pieces are all housed here. What is it? Two memorial statues in honour of Lapu-Lapu and Ferdinan Magellan. Why go? 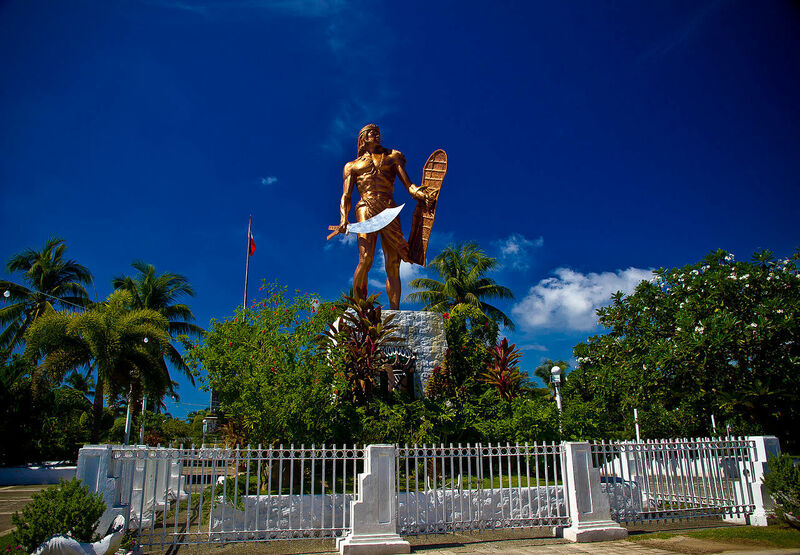 This important slice of history marks the Battle of Mactan in 1521, between Portuguese explorer Ferdinand Magellan – who wanted to colonise the region – and native chieftain Lapu-Lapu. The shrine is thought to be in the spot the battle took place. What is it? 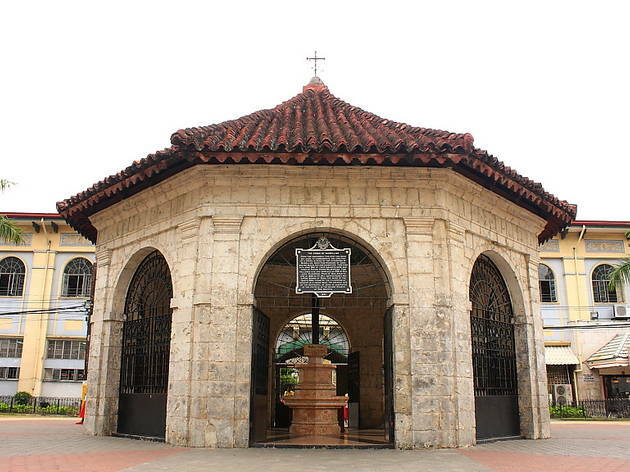 According to legend Ferdinan Magellan planted this crucifix as soon as he landed in Cebu in 1521. Why go? 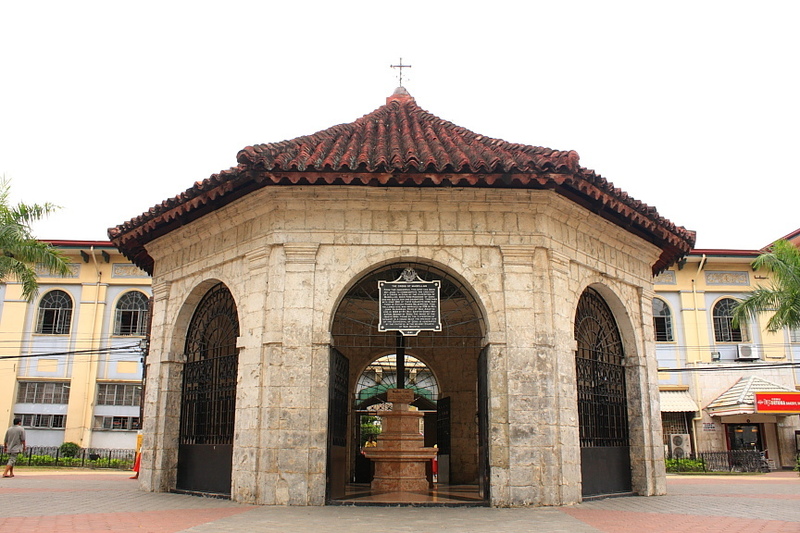 Together with the Mactan Shrine, Magellan’s Cross holds a lot of significance. It sits in a chapel next to the Basilica Minore del Santo Niño on Magallanes Street and while you can’t see the original cross, it is supposedly encased within the wooden cross you can see. What is it? Authentic and affordable Filipino food. Why go? 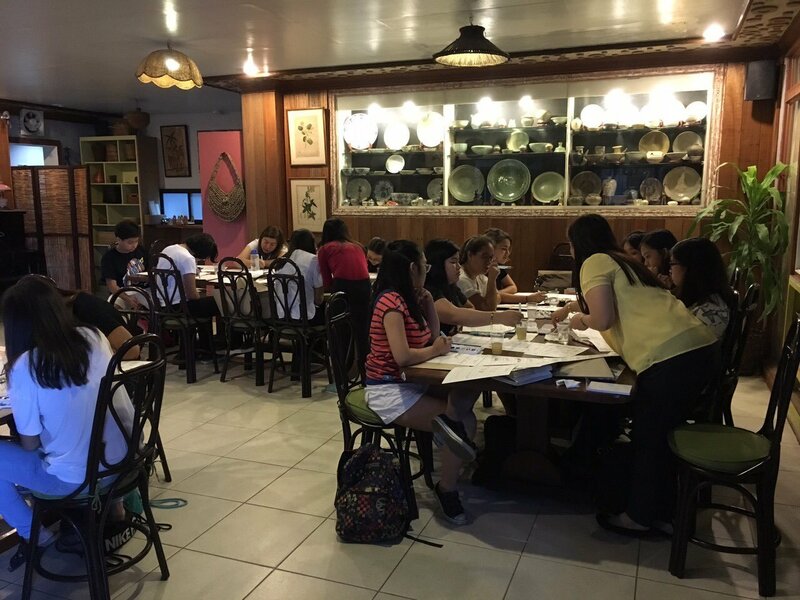 Situated in Kasambagan, on the northeast side of Cebu City, Abaseria provides cosy surrounds in which to enjoy innovative local cuisine. The décor is homely, with plenty of art up on the walls, and the prices are very easy on the wallet. If you like what you taste, then browse the shelves for ingredients around the restaurant, which doubles as a deli.